After Denise completed her training as a graphic designer at the Durban Art School, she worked in various advertising agencies. She later lectured at a number of Johannesburg based institutions, including the AAA School of Advertising. She then moved back to Pietermaritzburg where she found herself teaching art at matric level at various schools. 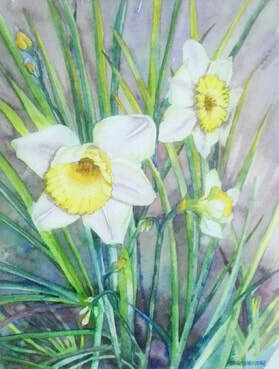 As a practicing artist Denise still continues to grow and discover her talent and to develop her own personal style. 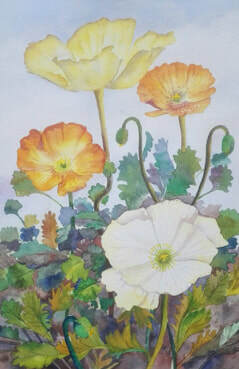 She particularly enjoys watercolour as a chosen medium because of the vibrancy of the colour. Denise continues to challenge herself as an artist by experimenting and developing new ideas. Her main subject matter includes the scenery of the areas in both the Lesotho mountains and the lower Berg areas here in KwaZulu Natal. 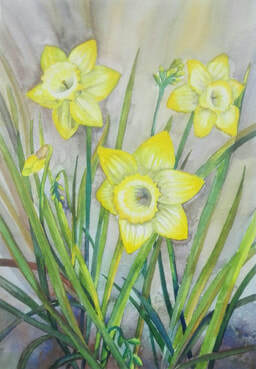 Her other favourite subject matter is the beauty of nature which includes local flowers and plants.